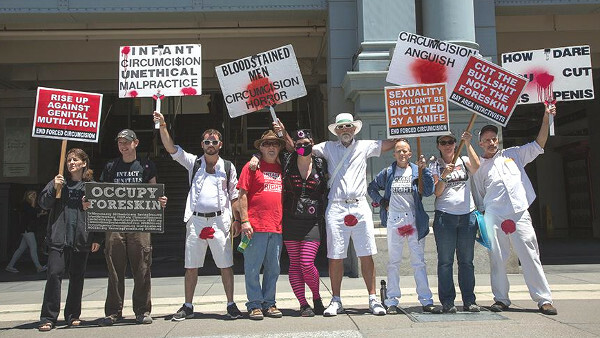 Bay Area Intactivists in cooperation with Bloodstained Men & Their Friends will hold a peaceful demonstration in front of the San Francisco Ferry Building to raise awareness of the damage caused by forced genital cutting and the human right to genital integrity. This event will take place during Genital Integrity Awareness Week​ on the same day that intactivists from across the country will march from the West Lawn of the US Capitol to the White House. We invite you to join us in educating the public of the need to protect all children from forced genital modifications. We will provide signs to hold and literature to distribute but you are welcome to bring your own materials.